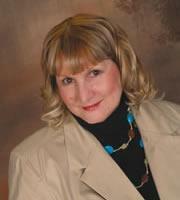 Sue Fleischmann earned her BS in Education from the University of Wisconsin at Whitewater. She was an early childhood educator for 16 years and worked as a classroom teacher, an art teacher, and a resource teacher. Sue taught in a birth-to-three program and was a child and family specialist in a national Center of Excellence Head Start. Gryphon House was saddened by her death in December 2009. "Easy Daily Plans: Over 250 Plans for Preschool Teachers by Sue Fleischmann is a curriculum based on the seasons and organized by month. Each daily plan contains a story-time book suggestion, learning center activities, and group-time activities. All of the activities are open ended, making for easy adaptation. You can find movement concepts, outdoor experiences, songs, and games, too!"